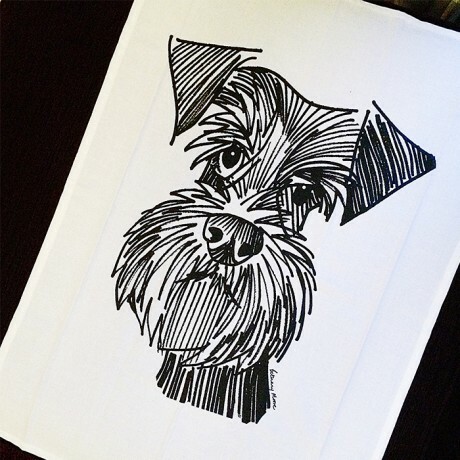 I love sketching pets of all shapes and sizes, and after drawing several super Schnauzers I decided to sketch one of my own. 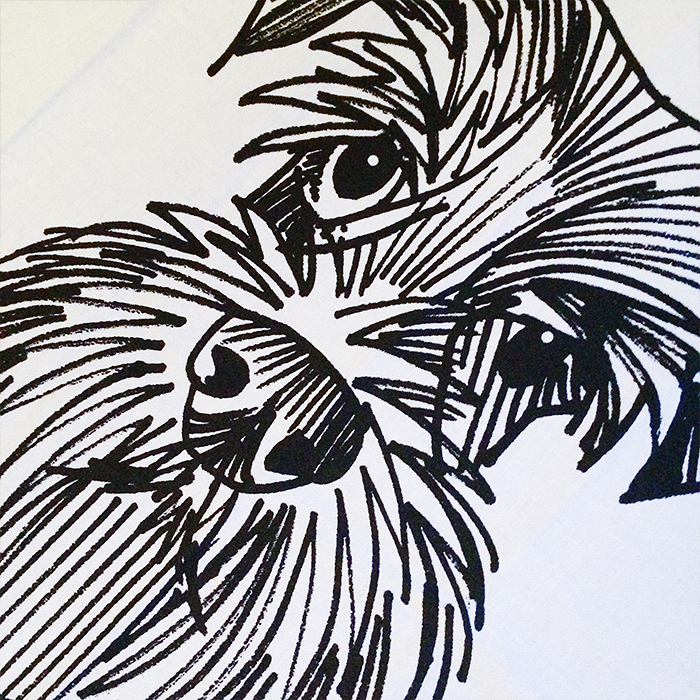 The tea-towel is 700mm x 500mm, 100% cotton and machine washable at 40 degrees. It comes with a band-roll so it makes a super seasonal Schnauzer gift. 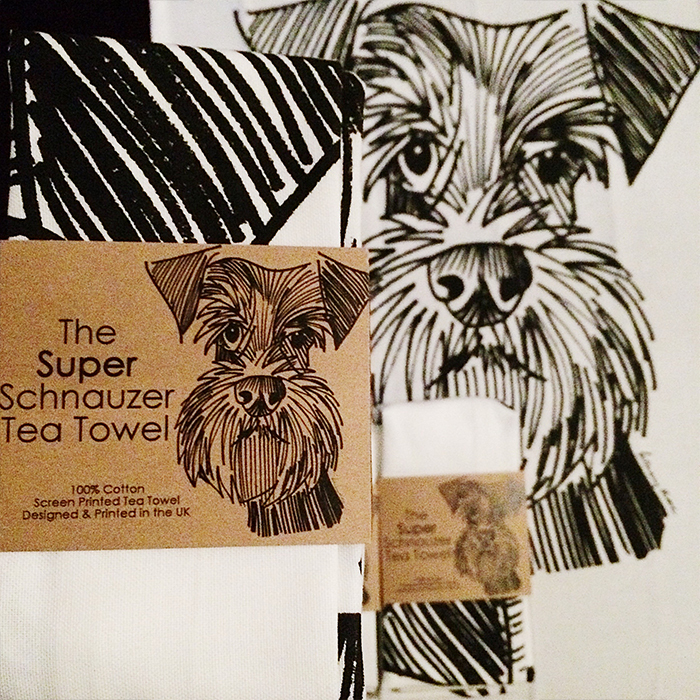 It also goes really well with The Rhubarb Tree Schnauzer mug.